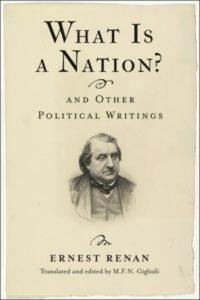 I edited the first-ever English-language anthology of the political works of Ernest Renan for Columbia University Press. The selection includes several key texts previously unavailable to the English-speaking public. I am responsible for the translation, the annotations, and the critical introduction.